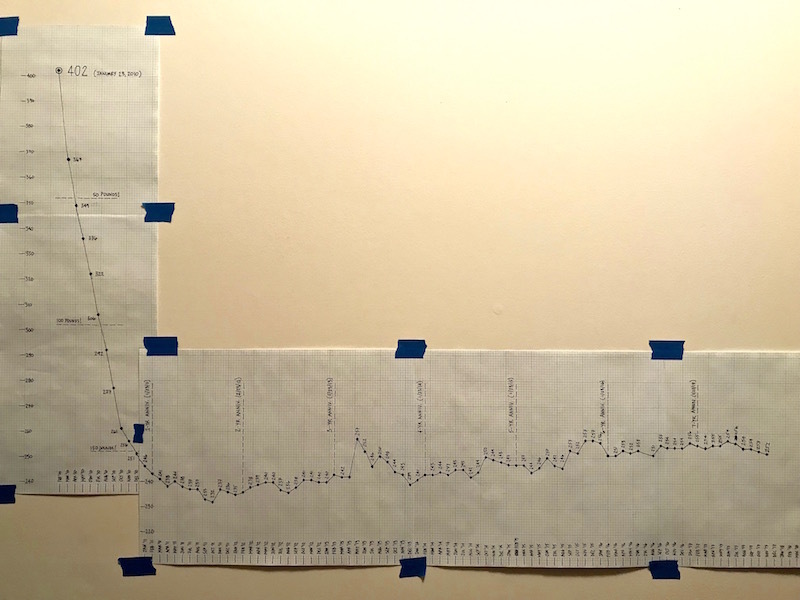 One of the things I’m asked about most often is my weight loss chart. I blog about it whenever I have my weigh-ins, and I show pictures every time. I created this page so you can easily see where I’m at whenever you visit Keep It Up, David. TOTAL POUNDS LOST & KEPT OFF SINCE JAN. 2010: 150 pounds! 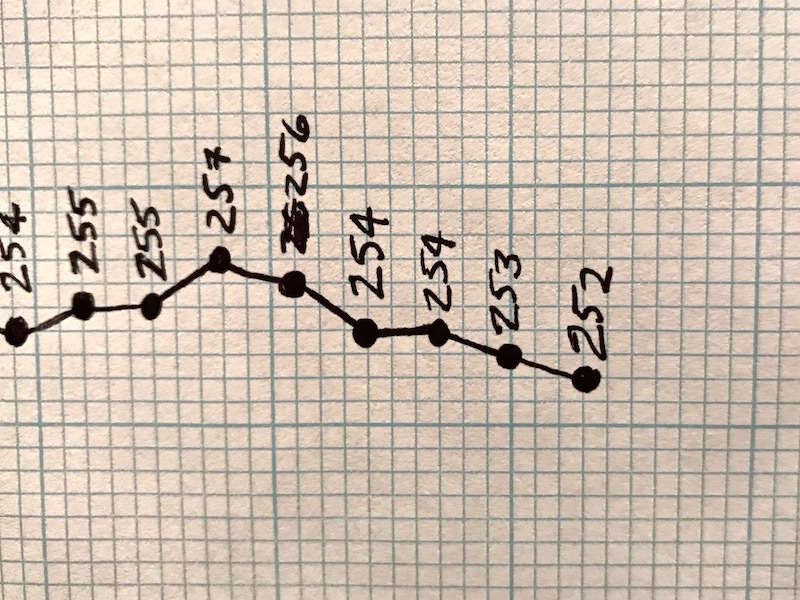 Click here to see my most recent weight loss chart post (from 11/4/17). Is that the last day you updated your chart? no updates in February? And do you get paid for the Nutrisystem ads right below your blog? What Nutrisystem ads? How or where are you reading my blog? And yep – haven’t updated the chart in a few weeks – but that’s going to change, quickly. This is awesOme and inspiring! I hope I will soon have an epic weight loss story to tell. Keep it up David! Wow. What an inspiration. Thank you. Been listening to your interview with Fat Burning Guy and think your story is very inspiring! Thank you. Hello, Diana! Thanks for stopping by the blog – I appreciate it! Congrats on your engagement – it must be a very exciting time in your life! It’s great that you recognize that you need to make a change, and I understand how frustrating it can be to get started. My suggestion is to take it slow: identify one thing you can do today to be healthier, like skipping dessert, taking the stairs instead of the elevator, or replacing soda with water. Then DO IT EVERY DAY. After a few days, do a second healthy thing, incorporate that into your life. Take 20 minutes to go for a walk after dinner or after work. Figure out what works for you, and MAKE YOURSELF DO IT! And then… KEEP IT UP! Good looking chart man…. Keep it up !!! If you haven’t already tried the CORE or Cross fit type classes, give them a try…. its pretty amazing how may muscles aren’t used when running and walking. The CORE classes are really good for back and abs. Thanks for stopping by! Appreciate the suggestion. What an awesome blog…. I’ve only just begun to check it out and I am inspired! What a great job so far…it’s a process, but it looks as though you have many people cheering you on and I am too! Best of luck! It’s fantastic to read this! Best of luck to you as you start figuring this out. KEEP IT UP!